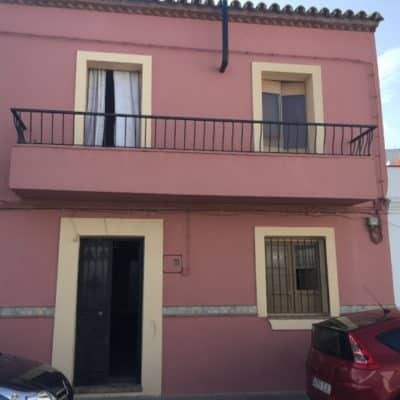 Now Reduced to 54,000€ This traditional 3 bed village house is in need of a little TLC to transform it into a great property. It is already habitable and has a large fireplace but with one or two renovations it will yield a much more profitable return. The front door opens out into a small sitting room. Beyond that on the same floor is a windowless bedroom that receives natural light from the adjoining sitting room, another hallway / study, the kitchen and the bathroom. The back door leads out onto a small patio which leads also onto a raised terrace that connects with another room that leads nowhere and is currently wasted space. Coming back down and into the sitting room you find the staircase up to the first floor where there are 2 bedrooms with natural light and views. The second bedroom is the one potentially accessible from the room that is wasted on the upper patio. This area could be transformed into a master bedroom with terrace and ensuite. This is on the market for only 58,000€. Reduced to 54,000€ Even after spending money on the reform you will still end up with an attractive investment property. Then you will have a myriad of choices: permanent home, holiday home, long term let or short term lets to holidaymakers. Well situated near wonderful walking routes and with a local mini market almost on its doorstep. This is a golden opportunity to transform a tired dwelling into a vibrant and inviting holiday home. Jimena de la Frontera attracts thousands of holiday makers throughout the year. It is a famous white village steeped in history that goes back to neolithic times. The castle, majestically placed atop the foothills, has a rich heritage of occupancy from Pagans to Muslims to Christians. In addition, the village is on the bird migratory route connecting Africa to Europe. If this is what you are looking for, also check out this related property. It is also great value and may well be of interest to you. 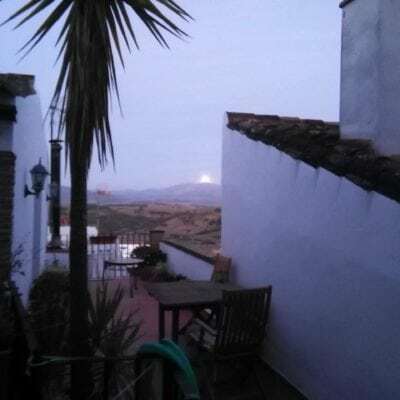 Property with land Jimena de la Frontera. Set atop gently undulating foothills. Views from this south west facing property are truly fantastic. The estate consists of foothills, copses and meadows of 10 hectares. They include a natural water source – from one of the last uncaptured and unpolluted rivers, the Hozgarganta, plus man-made dew ponds. The main property, on 2 floors, has 7 bedrooms, 6 of them en-suite. 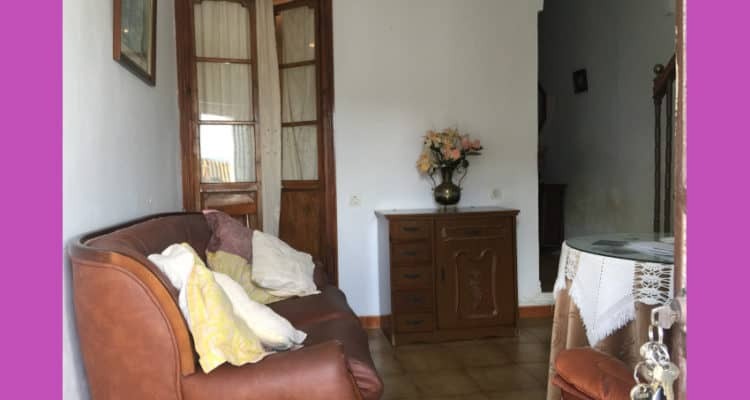 The large entrance hall connects to the drawing / sitting room, large TV room, utility/laundry room, formal dining room and spacious country style fully-fitted kitchen. Central heating and air conditioning throughout, fitted wardrobes, marble floors, marble mantelpieces around the fireplaces and over 100 m2 of loggia and terraces around the exterior of the property. In addition, there is a lodge house of 2 bedrooms, sitting room and bathroom. Currently this is where the Estate Keeper / Groundsman lives but can also be used as guest accommodation. As expected, the property boasts a large swimming pool surrounded by loggia, terraces, pergola and pool house complete with 2 changing rooms. Naturally, there is also a storage area for garden equipment and for the water tank housing. The stable block has 5 boxes and a 2 bedroomed ostlers / grooms apartment. This section has not been used for some time and, metaphorically speaking, needs the cobwebs brushed away. Importantly, like the rest of the buildings, this is structurally sound. Situated just outside Estacion de Jimena, also known as Los Angeles, it is nestled on the fringes of Los Alcornocales Natural Park with a small off-shoot of the river Hozgarganta running through the land. The source of the river Hozgarganta is La Sauceda, with an altitude of 160 meters. The river meanders along 35 kilometers, mostly through the beautiful Los Alcornocales Natural Park. Technically, a large tributary of the river Guadiaro, this river is one of the least polluted in Western Europe, being at the moment the only Andalusian river that does not have reservoirs set up along its basin. The river travels through an ecological backdrop that nurtures and attracts many species. This estate also falls directly within the migratory path for birds coming from and going to Africa. You see storks, kites, honey buzzards, booted and short-toed eagles and Egyptian vultures to name but a few. The land is well maintained and has eucalyptus, carob, cork and even gall oak trees as well as orange and avocado orchards. There is a lot of wood that can be harvested as part of the forestry management – a resource that has been overlooked as yet. 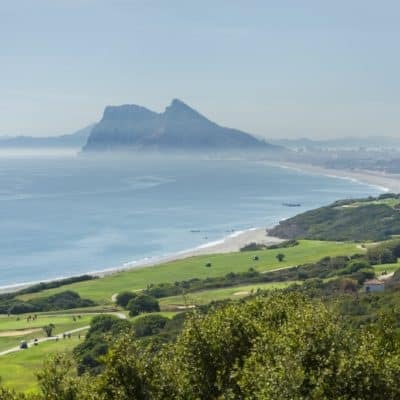 The property and land look east towards the famous white village and castle of Jimena de la Frontera, west towards Gibraltar and south towards the Costa del Sol. Almost 10 hectares of land, (9,850m2), a 7 bed main house (563m2), 2 bedroomed guest house (86 m2), stables with 2 bed studio (157m2), garage for 2 cars and 2 storage rooms (83m2) including large water tank facility. Outdoor amenities are; pool house with dressing rooms; showers and toilet (56m2); swimming pool (16m x 5,5m); and more than 100m2 of covered terraces topped off with well manicured and landscaped gardens. Supplied with the following finishes: marble floors and fireplaces, satellite TV, Telephone, Internet. Fitted wardrobes, Air conditioning and Central heating. There is also a separate irrigation system plus river source and dew ponds for the land. 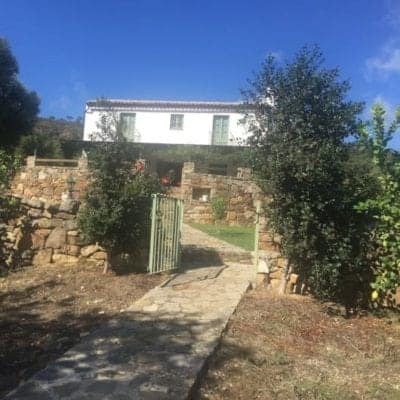 Estate reduced by 500,000 €. Terrific value. 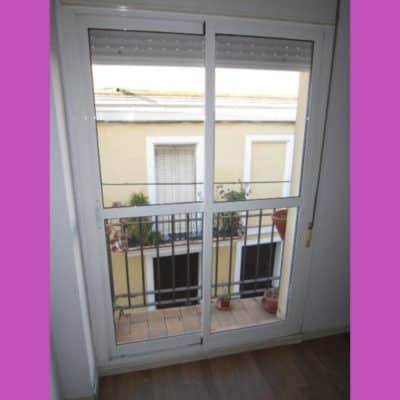 IBI (Council Tax) approx 2,400 € per annum. Wonderful chance to buy this detached 4 bed 2 bath riverside property situated between Gibraltar and Algeciras. Atmospheric and well built bungalow. Ideal as a family home, consisting of four good sized bedrooms, ample wardrobe space and laundry area plus 2 bathrooms. Beautiful, beamed property of ‘recent’ construction, (1983). Well designed kitchen with island and space for kitchen table. The open planned design has a wondeful flow to it. The sitting room connects to the dining room which commmunicates with the kitchen. The beautiful fire place radiates heat throughout the communal areas for a sensation of well being and comfort. French windows lead from the sitting room into the garden itself and the situation of this property affords wonderful privacy being open only to kayakers and birds using the river. 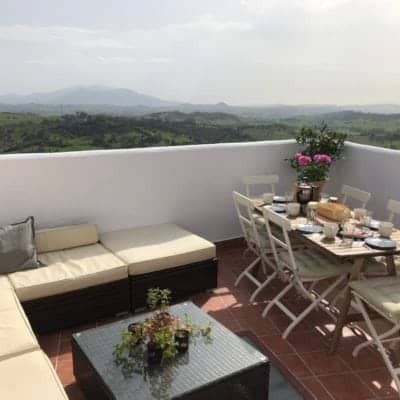 The property is a bank repossession which means it is offered at a great price of 342,000 € AND there is the chance of preferential financial terms. This would make a heavenly weekend retreat or permanent home. It will also be of interest to people looking to rent if you are considering adding to your property investment portfolio. An added bonus – it is in perfect condition, well maintained and with beautifully manicured lawn. There is also a good sized shed for the gardening equipment and tools and additional storage in the laundry area. What’s more, this property is sold fully furnished. 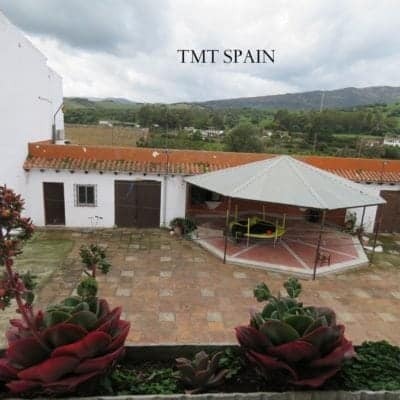 Situated on the alluvial plain of the Guadarranque river in a plot of approx 1,150 m2. Surrounded by mature trees and on the migratory bird route. Near enough to main roads for travelling around but far enough to enjoy location without noise. Hard to beat this wonderful location. You have a dream escape from the pressures of every day life and yet still remain connected for when necessary. They say location is everything and it may be a cliché but it’s true. It is close to the business park, but don’t let that deceive you. Once here you feel cut off from everything except the river, the trees and the birds. Do yourself a favour and visit this now. You won’t regret it. 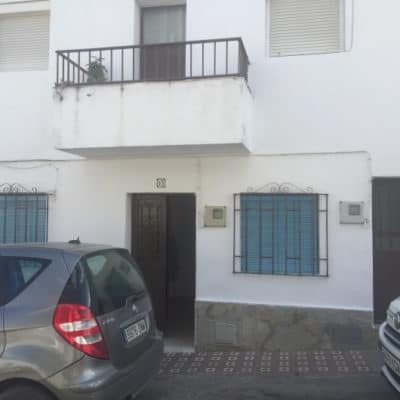 Reduced to 285,000€ – View now! Buy a going concern rental business. Reduced by 30,000€ for quick sale. 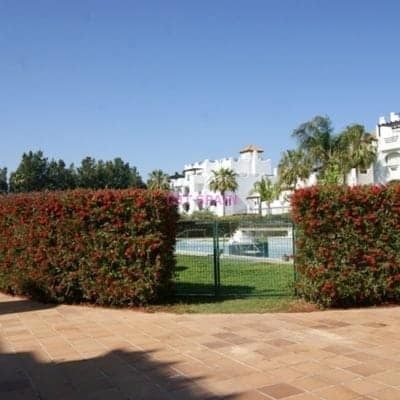 A well placed 2 bed 2 bath property in Sotogrande Marina. Commanding views of Sotogrande Marina and its waterways. 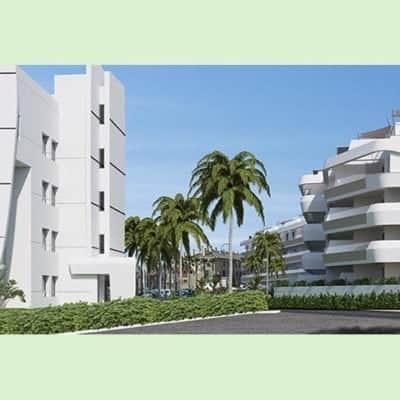 Well designed and perfect as permanent residence or second home. It comes with fitted wardrobes and fully fitted kitchen. There is also a possibility of a berth at which to moor your boat and admire it from your large terrace. [icon name=”smile-o” class=”” unprefixed_class=””] However, in today’s market what is also offered here is a short to medium term investment. The location and views will always make this property desirable. This means when the time comes for you to sell, this 2 bed 2 bath unit should provide a rewarding return on capital. No-one can ever guarantee the future and buying property is always a form of speculation, but we believe there is a healthy profit if you wait 3 – 7 years. Certainly, a far better return than a bank savings account. Meanwhile, you benefit from a successful holiday rentals business. The current owner needs to liquify some of his assets and is consolidating his portfolio to do so. For this reason the property is being offered for sale by a motivated seller. It could be that you are thinking to add to your rentals portfolio. The current owner benefits from over 60% occupancy rates and generated 18,000 euros gross last year from this property. The same management team could continue to run the business which would make it all quite painless. The managing agents have many returning clientele amassed over 35 years of business in the area and have worked in partnership with the current owner for about five years. During this time, rentals have risen steadily. There is also a very good opportunity to rent long term. 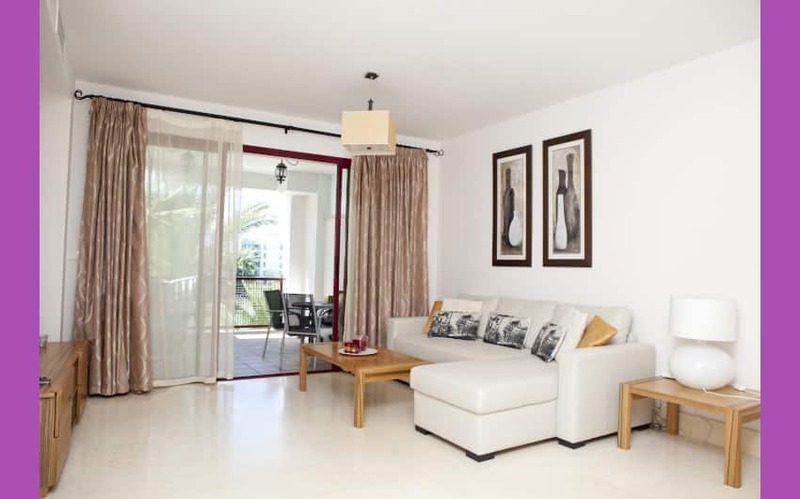 The principal market here is people working in Gibraltar and you could expect to achieve 900 – 1200 euros a month per apartment in today’s climate or continue to offer short term rentals with extra possibility of using as second home. Make no mistake, properties in Sotogrande have started going up in price again. There has never been a better time since the Crisis to further augment your portfolio or simply buy yourself a quality apartment in a wonderful location. Near Polo and Padel courts, too. The building benefits from communal gardens and communal, outside, pool. In addition, this apartment has its own underground parking bay and storage. These storage facilities are lockable and of a sufficient size to store bicycles, garden furniture and the like. Views from the terraces are amongst the best in the Marina, situated as they are in Ribera del Pez Luna. South facing expansive views up and down the Waterways – a 180º panorama. 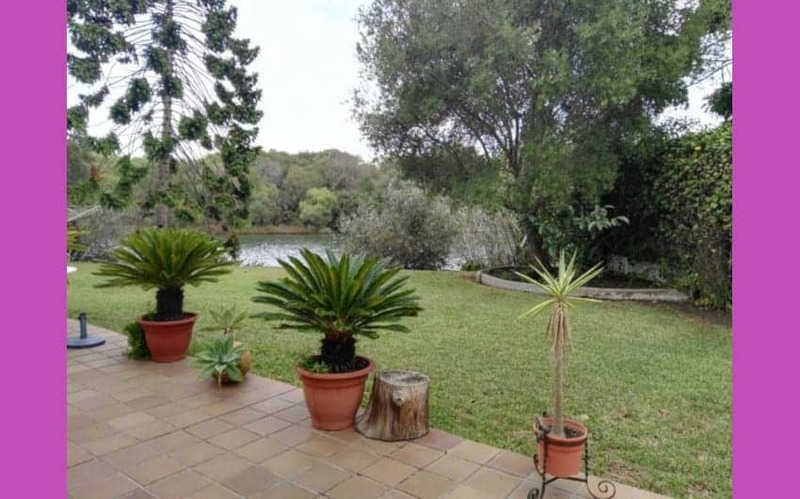 This quality location is also ideal for walks along the river or Polo fields – with or without a dog. 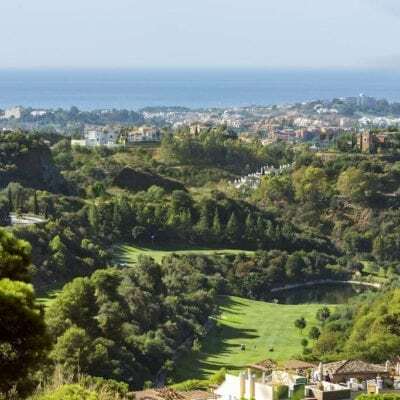 In fact, everything is within walking distance – from restaurants at Ribera del Marlin or the port, to fantastic beach bars east and west of the apartment and even the padel club is only five minutes away. Supermarkets deliver and orders can be placed online or drive there direct, they are very near. The above reasons help explain the guaranteed repeat clientele who choose to holiday at these apartments year after year. Seldom does an established business like this go onto the market without factoring a premium for the going concern that is also being sold as part of the offer. This business proposition is being handed to you on a silver plate, sold fully furnished. Priced to sell at below market value with established holiday lettings business by motivated seller. Premium free. Phew. Seriously, don’t miss out on this exceptional opportunity. Total Property Fees, inc taxes per year, 3,822 € ( IBI and community fees, macro and building, plus taxes for owning the property -Non resident wealth tax). Why not make an appointment to view? Remember, you’ve just saved 30,000€. 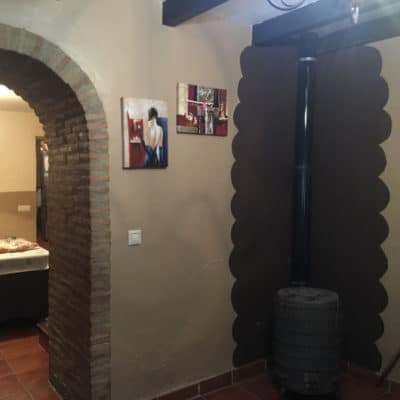 This 2 bed rural property is on the market for only 145,000€. 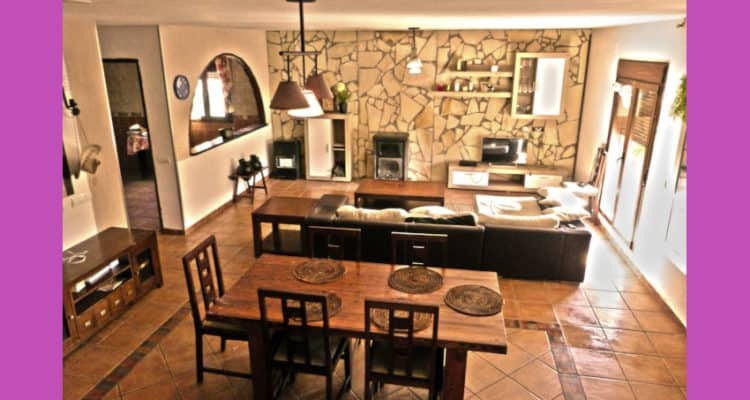 Reduced from 190,000€. The front door is a lovely thick wooden affair which offers immediate charm and is accessed via a few steps which take us in at the first floor level. Once inside the home you are met by a feeling of space. The sitting room and dining room is one large open planned area with stone work wall and, de rigueur, a lovely wood burner for those chilly winter nights. The kitchen is not completely cut off, communicating with the living area via a stylish half wall making it easy to bring plates to and from the kitchen. It is a good shape and size, large enough to fit in that all important kitchen table. The bathroom is also located on this first floor. Upstairs on the second floor are the 2 bedrooms and there is a really large covered terrace where you can socialise with friends and family in fine weather and enjoy the great views. You could also place a day bed there if you wished and sleep there in hot weather. This is an eco-friendly property with solar panels which offer enough energy for most of the year. There is a diesel-fuelled generator if required in winter. The roof terrace also houses a 1,000 litre tank of water which can be topped up from the well and with a large vegetable patch, fruit trees and hen coop, you can enjoy the simple pleasures of living off the land. Access to the property is via a double gate and short driveway which also continues around both sides of the house leading to large patio and a charming well. In addition there are irrigation water rights to this rural property. At the back of the plot of land are kennels and a hen coop. These could be kept, or the space converted into stables. Large Plot with Fruit Trees. 2,700 m2 is big enough to feel spacious but not so large that it is difficult to maintain. Currently there are fruit trees and avocados and the blossom in spring time is an experience that you will never forget. Sheer paradise. 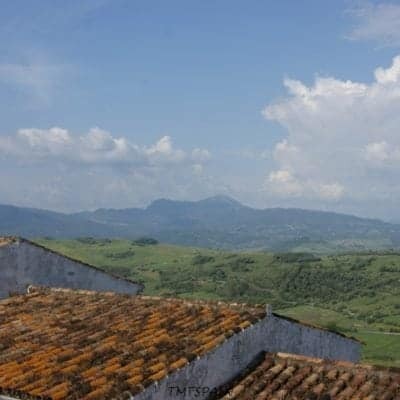 Abrim with potential, this 2 bed, 1 bath rural property is situated within a quarter hectare of land in Lower Montenegral. Surrounded by fruit trees and a large area for growing vegetables. 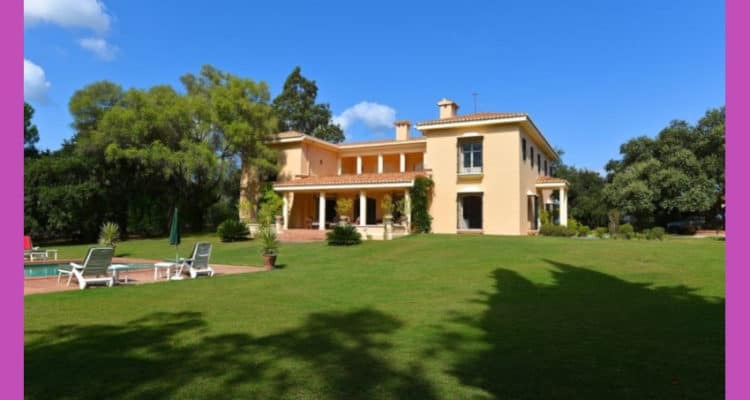 Only 30 minutes from Gibraltar and less than 15 minutes from Sotogrande port and the beaches. It is a real chance to live away from suburbia and yet still be close enough to commute to Gibraltar or Algeciras, for example. The nearest village is San Martin del Tesorillo, with everything on hand from restaurants to drug stores to medical facilities. In the opposite direction lie Jimena de la Frontera and San Pablo del Buceite. 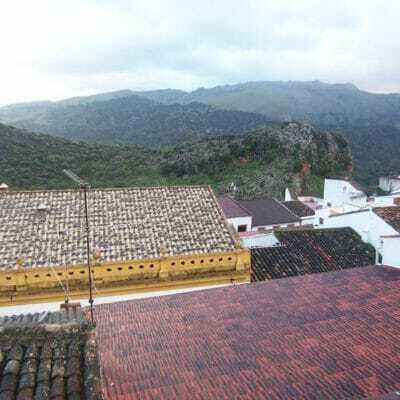 Lower Montenegral is part of the municipality of Jimena de la Frontera and the town hall will not give planning permission for a permanent swimming pool. Having said which, portable pools come in a variety of models and sizes and conform with town hall guidelines. They are also extremely easy to put up and take down. Short term rental options possible. 3 bed 2 bath property with small orchard and swimming pool. This is a wonderful location 3 kilometres from a small village with full amenities from health care to restaurants and supermarket. 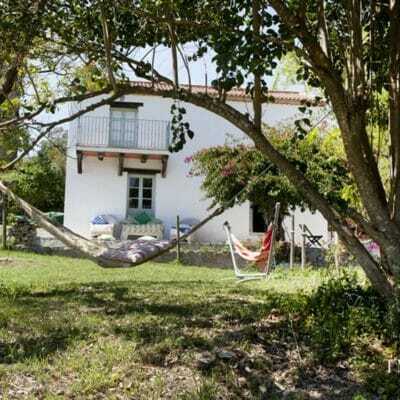 The property is at the foot of the Los Alcornocales Natural Park. Ideally placed for rambles. It is also on the bird migratory route and this property offers an extra opportunity for birdwatchers. 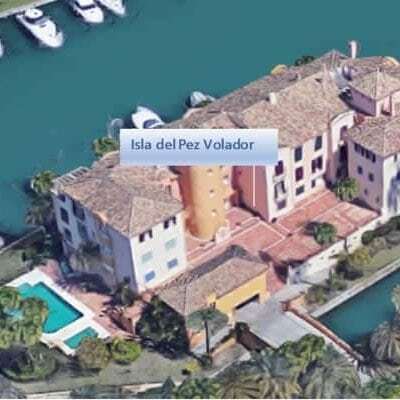 It has private access to the Guadiaro River.